The shoot of Star Plus’ much awaited new series ‘Kasautii Zindagii Kay’ has commenced. The show, which will see Erica Fernandes and Parth Samthaan take on the roles of Prerna and Anurag, respectively, will be launching in September. While, there have been rumours about the show being delayed, Star TV is yet to officially announce of any change. 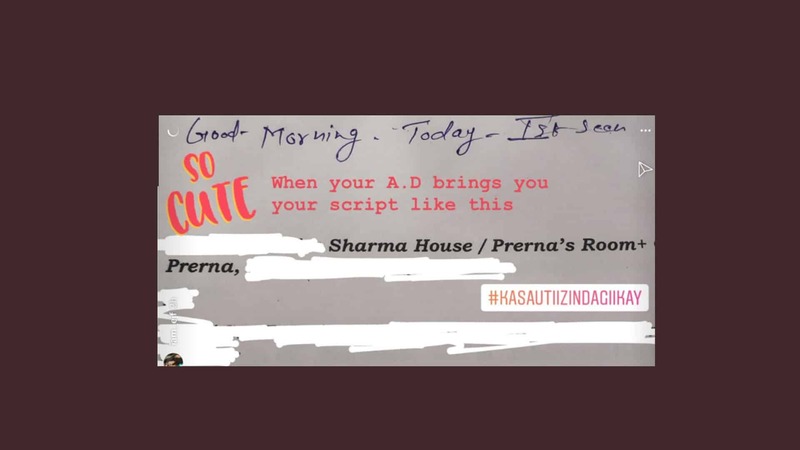 Fernandes took to social media to share a picture of her script, without giving much away.